Intelligent HD network camera for indoor use, meant to keep a good eye on burglars both day and night. Furthermore, this camera is fully managed via the Smart Home App. 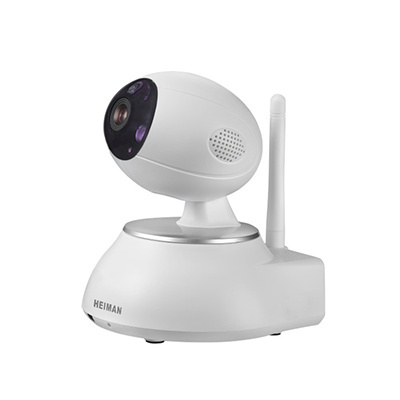 Intelligent network Wifi camera with HD resolution which can be controlled remotely. Possibility for a microSD card.